The chilly dawn of October 17 brought Generation 4 of Pokémon Go along with it. Since then, Pokémon trainers have been darting from one landmark to the next, filling their PokéDex with wildlife from the Sinnoh region. Not every Sinnoh Pokémon is accounted for just yet, though. Niantic is releasing the critters in waves, which means some notable faces are still missing. Generation 4's Eeveelutions, for instance, are still MIA even though they're present in the Gen 4 launch trailer. How does Niantic intend for us to make friends with Glaceon and Leafeon? It's worth asking, because Eeveelutions are still special in Pokémon Go. As with mainline Pokémon games, you won't find a Flareon, a Jolteon, or any other evolved form of Eevee in the wild. There are certain rules involved with the little brown fox's progression. We have a whole guide based on Eevee's Pokémon Go evolutions because there's a science that goes into ensuring you won't be burdened with an Espeon or a Vaporeon when you really want an Umbreon. Well, it's not a "science" so much as it's an Easter Egg that's been with Pokémon Go since it was a barely-functioning glorified GPS in that crazy summer of 2016. If you name an Eevee after certain trainers who command Eeveelutions featured in the anime, you should be gifted with that trainer's Eeveelution. So, you're looking at "Pyro" for a Flareon, "Sparky" for a Jolteon," "Rainer" for a Vaporeon. "Sakura" for an Espeon, and "Tamao" for an Umbreon. A fine boi who's rich in antioxidants. 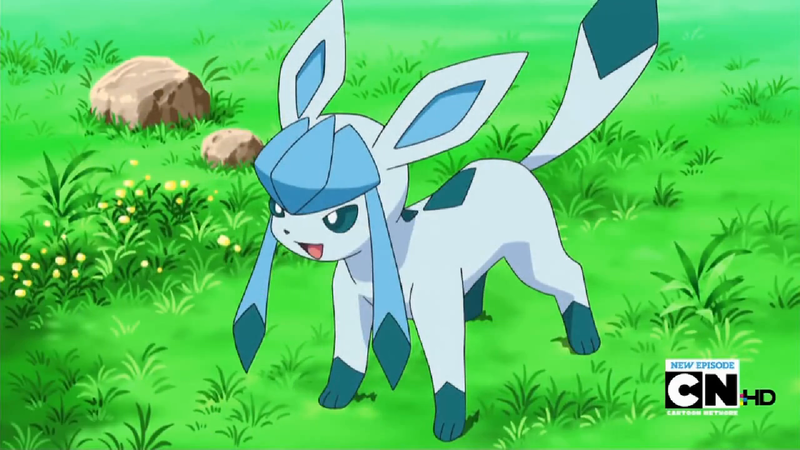 If Niantic sticks to the anime naming scheme, that means we should produce a Glaceon if we name an Eevee "May"—once Niantic rolls out the necessary update, of course. May might be Ash's best-known travelling companion outside Misty and Brock. She journeys with Ash across Hoenn and hatches an Egg that becomes an Eevee, then a Glaceon. It's interesting how "May," a name that doubles as a warm season of growth, might end up giving birth to Glaceon in Pokémon Go. Then again, Sinnoh is a snowy region, and May can be slow to arrive in cold areas of the world. "Cynthia" might wind up being the magic word for Glaceon, too. In the anime, this strong-willed woman is the Pokémon champion of the Sinnoh region. Leafeon's key word will probably be "Zoey." Zoey is a recurring character whose home region is Sinnoh. She cherishes her Leafeon, who proves a stalwart companion across many Pokémon battles. 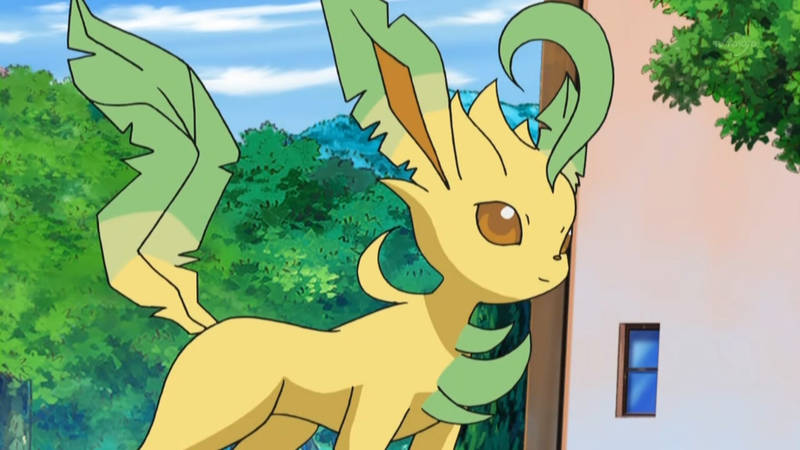 Also, Leafeon is the coolest Eeveelution. Putting that out there. I admit these aren't bad guesses on my part, but for all I know, Niantic might turn Pokémon Go's Eeveelution methods upside-down this time because it wants to pull a fast one on anime-watching smartypants. Maybe we'll even have to win the new Eeveelutions in raids (kill me now). Whatever Niantic has planned for Glaceon and Leafeon, it can't hide its methods forever. We have Pokémon Go guides galore, and like Decidueye, we're always watching and waiting.